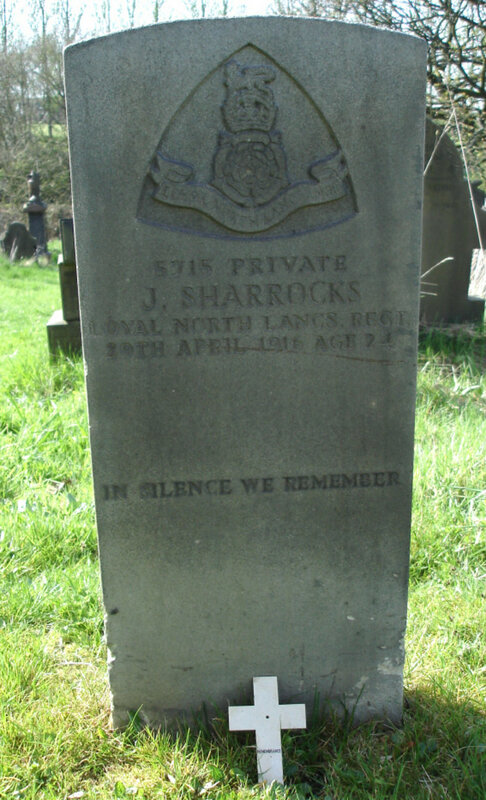 Notes: Son of Samuel C. and Cicely Sharrocks, of 575, Bury Road, Breightmet, Bolton, Lancashire, formerly of 133, Deane Church Lane, Bolton, Lancashire. Died of pneumonia contracted during training. War Memorial and 'Find My Past' shows the spelling as Shorrocks.